Xander: [repairing the house after a demon invasion] It's a loop... like the Mummy Hand! I'm doomed to replace these windows for all eternity. You know, maybe we should just board these things up until things are less Hellmouthy. Their accents are literally unbearably bad. It's like they're doing imitations of what a really bad English accent might sound like if you held your nose and started speaking through a rolled up cardboard tube. As an English person, and human being, I'm offended. 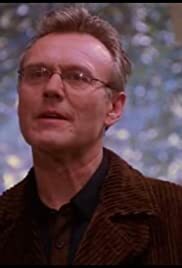 Anthony Stewart Head (Giles) must have been livid. Are there no English people in America who could have been cast in the role instead. The appallingness of their accents is only made worse by the fact that Giles is standing next to them, speaking properly.